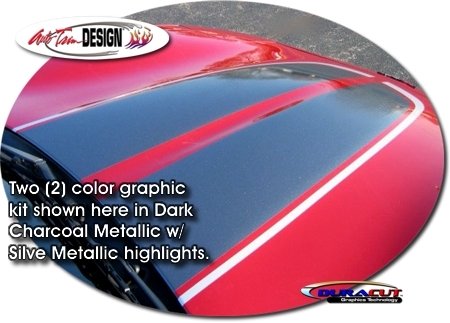 Reminiscent of the '04 Commemorative Edition Z06 rally stripes, this awesome graphic kit is packaged as precut pieces ready to install in one (1) or two (2) color combinations - NO TRIMMING required! Stripe package is not just a set of 12.94" (32.97cm) strips in a box. Our kit consists of prefitted and contoured pieces as shown. 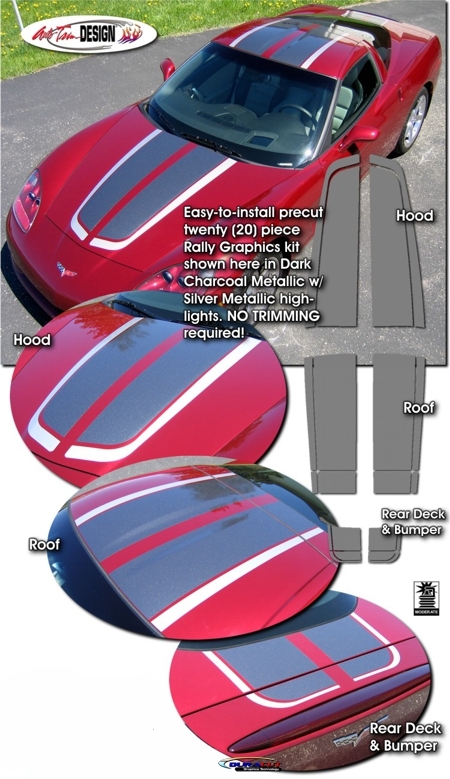 Kits are specifically made for '05-'13 Chevrolet Corvette Coupe, Convertible, Grand Sport Coupe, Grand Sport Convertible or Z06 and will not fit any other vehicle. Includes general online installation and care guide.